Habanero Peppers: Of all the chili peppers the Habanero Pepper is generally recognized as being one of the hottest, weighing in at around 150,000 to 300,000 Scoville heat units, compared to 5,000 to 8,000 for the jalapeno pepper. 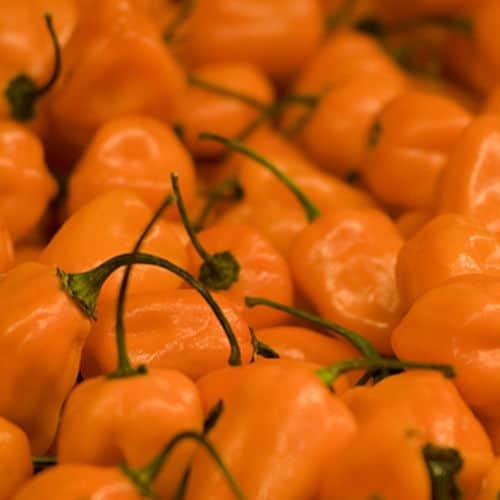 Despite its fiery heat the habanero is also known for it's great flavor which is fruity and almost citrus like. Habanero peppers normally grow to about 1 to 2 inches in size. 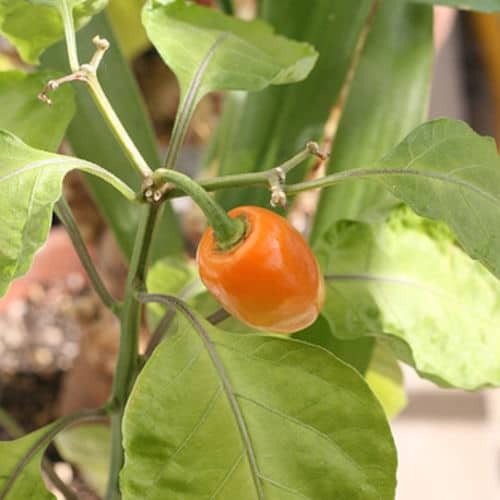 Immature peppers are green and ripen to many different colors ranging from the common red and orange habanero to purple and even white varieties. Explore more of the world of habanero peppers and you will be able to wow your friends with homemade sauces, fresh habanero salsas and other fiery recipes. Hot sauces are a wonderful addition to any pantry and can be used for anything from a Bloody Mary pick-me-up to a topping for nachos or a way to heat up some soup. And no kind adds more fire than habanero pepper hot sauce. Growing habanero plants is a very easy thing to do. We'll step you through some of the basics so you can have fresh habanero peppers all summer long. Sometimes spicy peppers such as habaneros are wonderful in sweet foods. 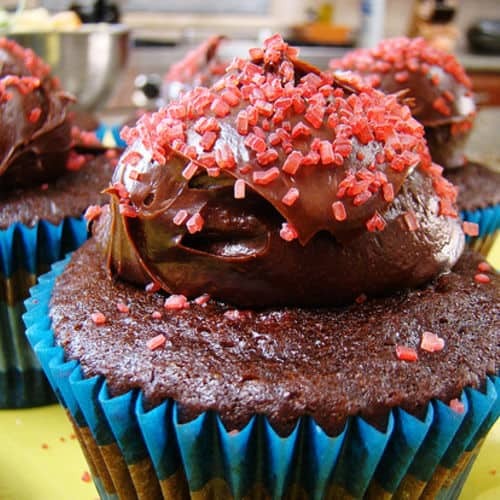 Spicy peppers are classically paired with chocolate but are great in many other kinds of sweet foods.